Download Your Free Still Life Painting Tips Today! 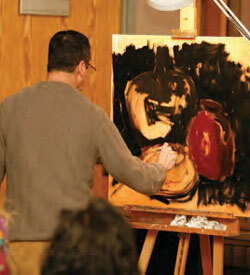 If you have been in search of free still life painting lessons, Artists Network has you covered! As our gift to you, our valued community members, Artists Network is offering this free art lesson with 25 instructions. Whether you are new to still life art or an artist in search of a new and interesting approach to this technique, this downloadable guide is perfect for you! See your paintings come to life with the help of this free art workshop to download. In this free painting instruction download, two artists talk about how they let loose their artistic inspirations through their paintings. Lisa Dinhofer discusses the fact that still life drawing is an essential part of her work, as a draftsman but also as an oil painter. Architecture is where she starts her new painting ideas, and often her best artistic ideas come to her while drawing setups in her studio. Joe Gyurcsak uses oil painting as a way of brushing up on the essential methods he needs as a practicing artist. Learn from some of the top still life painters! Whether you are a veteran or simply want some beginner tips, this free still life painting instruction book is one you’ll turn to again and again. Discover the importance of color and proximity for artists. Get your painting materials ready and begin painting with some of the best artists today! 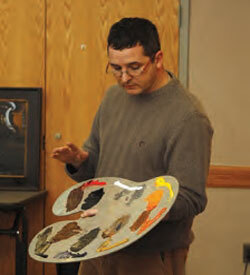 Artist and instructor, Joe Gyurcsak demonstrates how to paint a still life oil painting. All the oil painting techniques a painter uses when painting the figure or a landscape are utilized in still life painting too. “I find that fixing the viewfinder to a stationary object is very valuable,” Gyurcsak says. 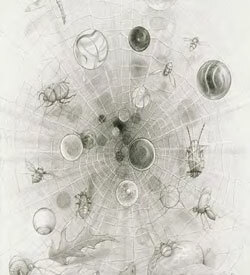 Artist, Lisa Dinhofer believes drawing daily keeps her skills sharp and provides opportunity to explore new ideas. She never starts a painting without first making drawings.Combine inanimate objects with animate objects on the same scale. Dinhofer chooses objects for her art—marbles, toys, masks, insects—because they have universal appeal and people relate instantly to them. Dinhofer explains that when painting multiple objects, she simply puts the items together and adjusts them to see if a story emerges, even if she’s not sure what the story is. Using a limited palette can help unify the look of a painting. Gyurcsak demonstrates examples to show how few objects you need to make a piece interesting. Take the first steps to learn how expert artists begin their paintings. Learn from their technique and years of wisdom to make your own still lifes come to life.